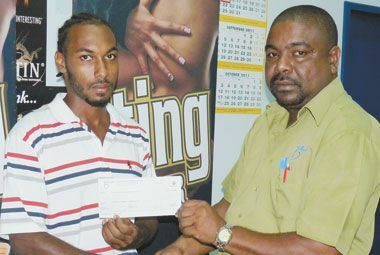 Bryden and Partners SVG Ltd. handed over the cheque of $1,200 to the Chairman of the Sports Committee Lionel Da Silva during a short ceremony on Wednesday, August 17, 2011, at the Bryden and Partners office at Paulâs Avenue. Da Silva stated that the money will go towards the general expenses of the competition. The competition which is ongoing started on July 24, 2011.